Investigators say a bank robbery suspect was shot in Charleston County following a car chase Friday night. CHARLESTON COUNTY, SC (WCSC) - Investigators say a bank robbery suspect was shot by a deputy in Charleston County following a car chase Friday night. 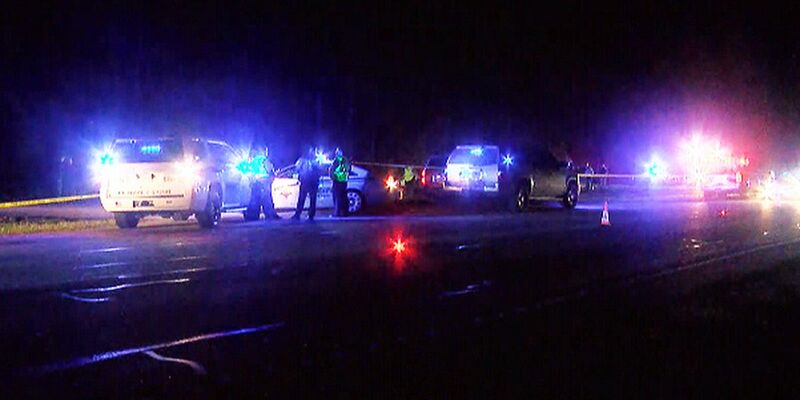 A report states that a Georgetown County Sheriff’s Office deputy shot the suspect on U.S. Highway 17 south of McClellanville at 7:33 p.m. According to GCSO officials, the suspect, who robbed a bank in Georgetown County, led deputies on a car chase into Charleston County where the shooting occurred during a traffic stop. The suspect was transported to MUSC. The State Law Enforcement Division will investigate the officer-involved shooting. Officials with the Awendaw-McClellanville Fire District say southbound lanes at Doe Hall Plantation Road are closed, and northbound lanes are being used to divert traffic. The bank robbery at Pawleys Island happened at a Bank of America shortly before 6 p.m., according to Georgetown County Sheriff’s Office. Deputies say the male suspect entered the bank and gave the teller a note. The suspect did not present a weapon. The man then left on foot with an undetermined amount of money, deputies say. The photo below was captured on the bank’s security camera.